Congratulations! You’ve made the leap – you purchased that beautiful condo or house in Cabo. Now, how do you move your belongings to Mexico? From the “lessons learned” department, don’t do what I did! I called up one of the large, nationally recognized moving companies claiming experience with international moves. In hindsight, it is obvious they had no idea what they were doing. Cabo has several moving and transportation companies with warehouses in San Diego and Tijuana that specialize in moving shipments and household goods across the border. However, in order to utilize their services, you must first deliver your belongings to their warehouse. Ergo, the reason I decided on using a U.S. national firm. In fairness, my household goods were delivered without damage but a 30-day promised delivery date turned into over 90. To move your belongings to Mexico, I recommend using a local Cabo moving company and arrange shipping from your original location to their warehouse in San Diego. The issue in moving your belongings to Mexico is the compliance with the Mexican regulations and paperwork. As with any governmental bureaucracy meeting the requirements can be confusing and difficult. For this reason, I do not recommend doing it yourself, instead hire an experienced moving company. They will prepare the necessary documents, obtain approval from the consulate and effectuate the transfer across the border. The major requirement is completing the declaration of household goods or menaje de casa. This is basically a list of your household items, including the model and serial numbers of all electrical items. Yes, even that blender to mix Margaritas must include the model and serial number! When utilizing an experienced moving company, your goods will be carefully packed, paperwork completed and delivery made to your new home in Cabo. Bring it or Buy New? A question not to be overlooked is whether you should even attempt to move of your household goods at all. Another viable option is selling your existing furniture and goods and buying everything new once you arrive. While this option may seem ridiculous to some, further thought yields merit. The development of condominiums and houses in Cabo is a booming business. Once the construction is completed, furniture and other items must be installed to make the new residence livable. For this reason, a cottage industry of selling furniture packages thrives here in Cabo and other resort communities in Mexico. Depending on the size, quality and décor, complete furniture packages may be purchased for as little as 15 to 20 thousand dollars which begins to rival the cost of moving your old belongings to Mexico. These packages can include all of the furniture, artwork, curtains, rugs and even nick-knacks! These packages are designed to blend with the architectural theme of the development rather than furnishing your new Mexican designed home with your old early American furniture you bought from Ethan Allen 20 years ago! A reasonable option is to explore the possibility of liquidating your old worn belongings, investing in a new furniture package and supplementing new purchases over time. This creates new opportunities to explore various shops and stores throughout Southern Baja and Mexico. Moving your household goods to Mexico is rather simple and straight forward if you use an experienced moving company. First, consider whether moving your belongings outweighs the option of selling everything and purchasing a new furniture package. Regardless, consider selling or donating much of your accumulated stuff that you no longer use or won’t need here in Mexico, i.e. winter coats, snow skis, etc. Moving is a great opportunity for that big garage sale! Finally, carefully identify and organize what you intend to move being sure to catalog all model and serial numbers of your electrical items. This preparation will make your move to Mexico as easy and carefree as possible. 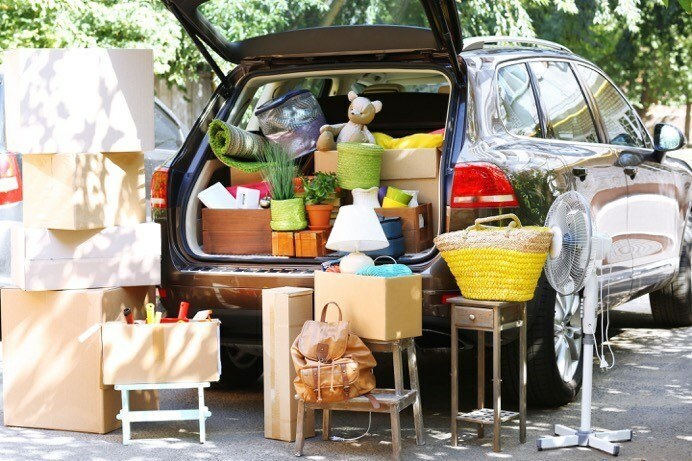 I have researched so many moving companies and have decided on… drum roll please…. Border Movers! I’ve heard great things about them! Do you know of them? I’d love to get your opinion!!! I have personally used Border Movers to relocate myy personal property from the U.S. to Mexico. I am very satisfied with their performance and recommend them to others. They are honest, trustworthy, efficient, economical, licensed and insured. Thank you so much! I took your advice and you were correct! I also wanted to thank you for all your help in my endeavors to find my perfect home. You truly are the best real estate agent in Cabo! Much appreciation! Wanted to find out your rates and paperwork needed to move from San Diego to Cabo San Jose. Thank you.